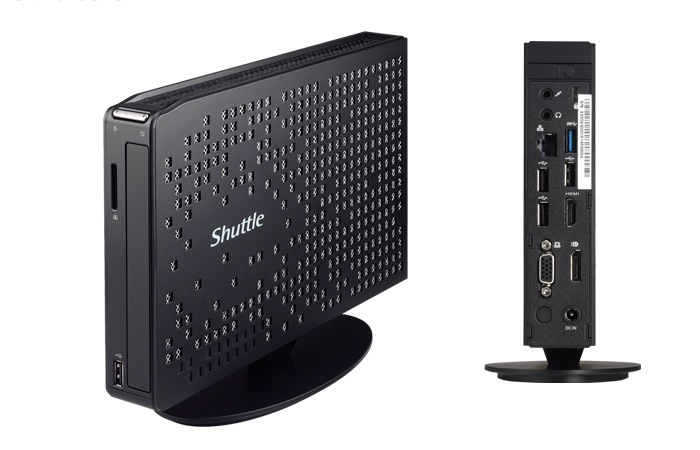 Shuttle recently launched a new range of desktop mini PC systems equipped with Intel Bay Trail processors, in the form of the Shuttle XS35V4 and Shuttle XS36V4 that are both now available to purchase for around $200 from the likes of Amazon and others. Shuttle has built the new Shuttle XS35V4 for commercial applications while trying to reduce the operation costs for businesses, by equipping them with Intel Bay Trail platform technology. The Shuttle XS35V4 is fitted a 22 nm Quad-core Intel Celeron J1900 processor with integrated Intel HD Graphics and a thermal module with cooling heat pipes to transport heat throughout the system quickly and evenly, without any fan noise. “Shuttle’s XS36V4 is equipped with Intel Bay Trail platform technology for enhanced system performance and features robust connectivity. The device is equipped with an Intel Celeron J1900 quad-core processor with integrated Intel HD graphics, capable of playing multiple full HD video formats and delivers dual display content via D-Sub, DisplayPort, and HDMI. For more information on the new Shuttle XS35V4 and Shuttle XS36V4 mini PC systems jump over to the official Shuttle website for details.